Ben’s first involvement with Palace for Life Foundation came after a successful work experience placement at Downsview Primary School, where he met Foundation coach Michael Lacey. Impressed by 16-year old Ben, Lacey referred him to the Foundation’s ‘Develop Through Sport’ community programme as a volunteer. Though he was initially lacking confidence, volunteering on the programme allowed Ben to open up to staff and identify some of his main strengths, as well as some areas for development. He was then able to set and work towards achievable goals; to obtain a sporting qualification, and to gain employment. After Ben finished volunteering on the ‘Develop Through Sport’ programme, he started being mentored by Lacey, allowing him to work alongside a familiar face and to learn from someone with a wealth of experience. The mentoring had a positive impact on his confidence and public speaking, something which he had struggled with before. As he built up trust with Lacey, Ben revealed how volunteering had kick-started a change in his life. He acknowledged that before becoming involved with the Foundation, he had been surrounded by bad influences, with many of the young people in his social group involved in anti-social behaviour and theft. “The whole group of people that I was hanging around with are all in prison, thanks to Michael and Palace for Life Foundation I got away from them.” he said. The Foundation then gave Ben the opportunity to complete his FA Level One coaching badge, which also gave him qualifications in safeguarding and first aid. During this time, he was invited to Foundation staff training, which allowed him to build relationships with other coaches as well as increase his knowledge. Alongside his voluntary commitments, Ben has taken an active involvement in Young Voices, the Foundation’s youth forum. As a result of the progress he has made, Ben was selected to speak about his journey with the Foundation at the Community Fund Showcase, which he would have lacked the confidence to do in the past. 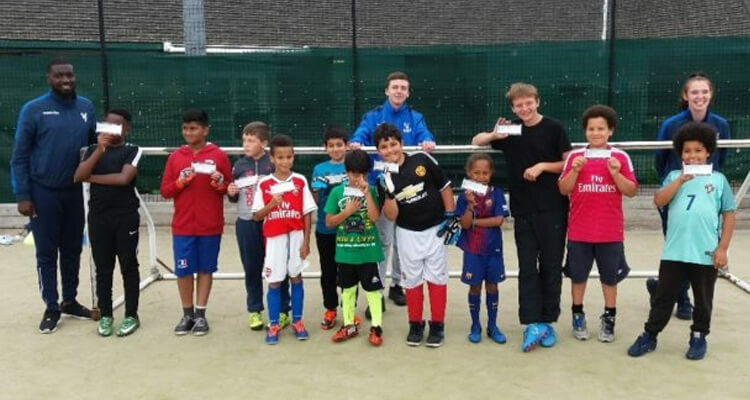 In total, Ben has completed over 70 hours of volunteering on a variety of programmes, from football courses to a targeted motorbike initiative. This range of programmes has given Ben a broad perspective of the sport and community sector, which will help him in his future career. “I have learned so much from the coaches and the support I have been given has been amazing. I have seen my confidence increase; I am now able to communicate with other with other young people and also in the workplace. 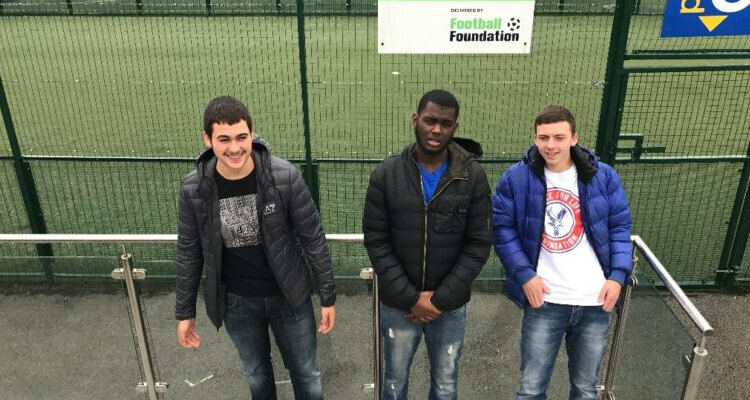 “I never knew the Foundation supported so much and I have been given different opportunities: they have supported me in college through a 4-week placement as well as a residential trip through its youth forum and partners. If you think our ‘Develop Through Sport’ programme could help you or someone you know, get in touch.